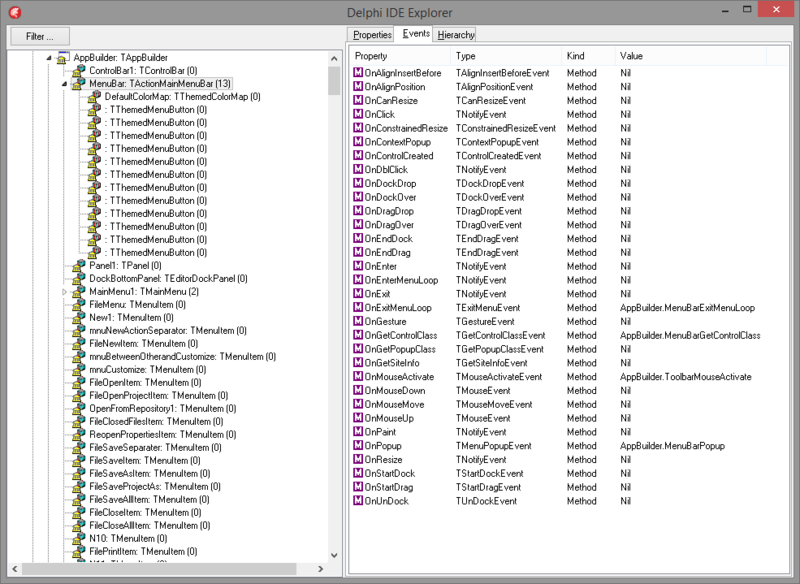 Based on a similar expert by David Hoyle for Delphi 3/4/5, which I found on Embarcadero CodeCentral, I have written the Delphi IDE Explorer Expert for Delphi XE .. XE6. 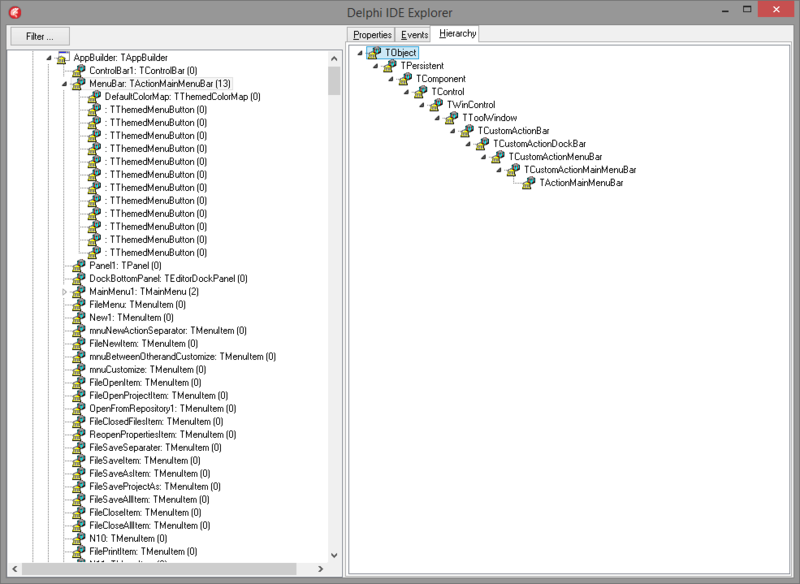 It is a package based expert that installs into the Delphi IDE and displays its internal component structure. The tree view on the left side displays the hierarchy of the components as it is available via the global VCL Screen object. the right side shows the properties, events and inheritance of the selected component. The full source code is available from SourceForge. 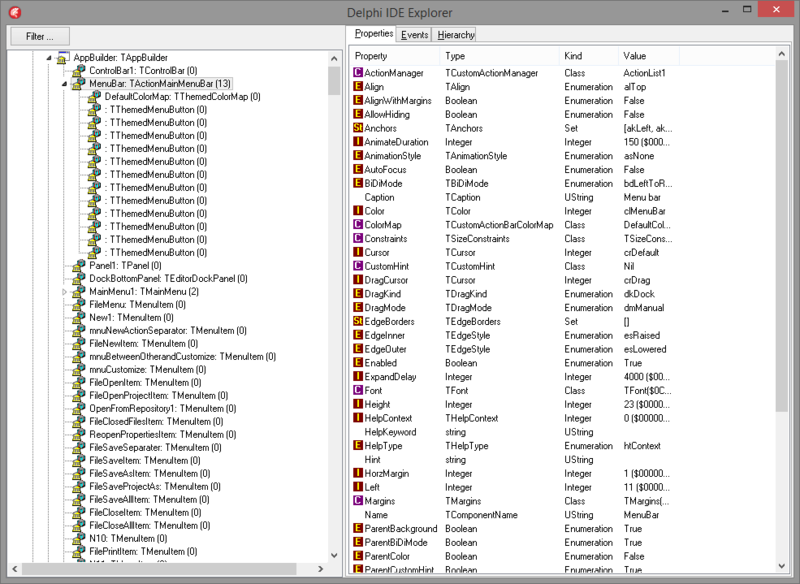 Please note: The package for Delphi XE3 is actually a Delphi XE2 package for now. I cannot start XE3 because for some reason it thinks it isn’t registered. Did I mention I hate the forced online activation? Edit: Apparently I am not only the second but at least the third who wrote such an expert. Rudy Velthuis also did it.